Mrs. Lynda Madu is the Head of Corporate Services and Development at MainOne. Prior to joining MainOne, Lynda Madu worked with KPMG, a global network of professional firms providing Audit, Tax and Advisory services. 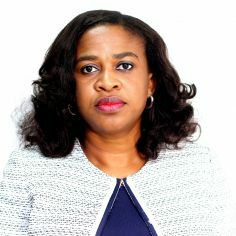 While at KPMG, she was a Business Consultant providing Advisory services to clients in the Telecommunications, Financial Services, Consumer Markets and Oil & Gas Industries. Her experience spans the areas of business strategy development and implementation; organization design; business process design and improvement; and Human Resource Transformation.